Discussion in 'Article Discussion' started by Gareth Halfacree, 23 Feb 2016. Basically if you have an i7 & 980ti all is good. Anything less, buy more money and upgrade. Not sure Crossfire was doing much, mind. Edit. It's single threaded too it seems. 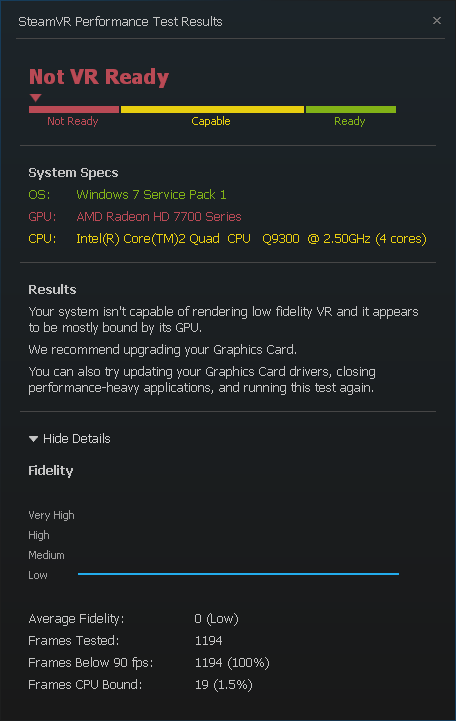 Just ran it on my AMD FX-8350 with an R9 390X...came out right at the top. 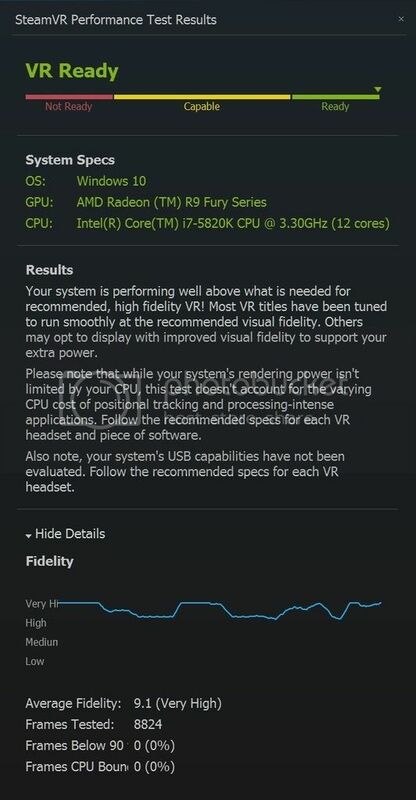 Not that I'm buying into all this VR hype.....but it's always nice to know. I'll be convinced that VR is the future when I can use a VR headset whilst a) wearing spectacles comfortably, b) drink wine (without knocking the glass over because I can't see where it is with a silly headset on), and c) whilst wearing my Qpad headset (again, comfortably). That was ran on a 1366 i7-970. Its all about the graphics card it seems. In the video I'm showing dynamic core use. It only seems to be using Core 1. I found it I opened anything else then the core load would go up. So even using the Windows core meter thing added extra use. To be fair the demo uses what looks to be either HL2 or Portal (2) and they're pretty old now. It looks more like Portal to me but I've never played it. If only someone had thought to detail what the base game assets were in the article. OH WAIT! THEY DID! All rather academic though, as I'm not prepared to spend $600-$800 on VR. Well, apparently an I3-4130 is capable perfectly fine?! £49.00...and that's my final offer ok. 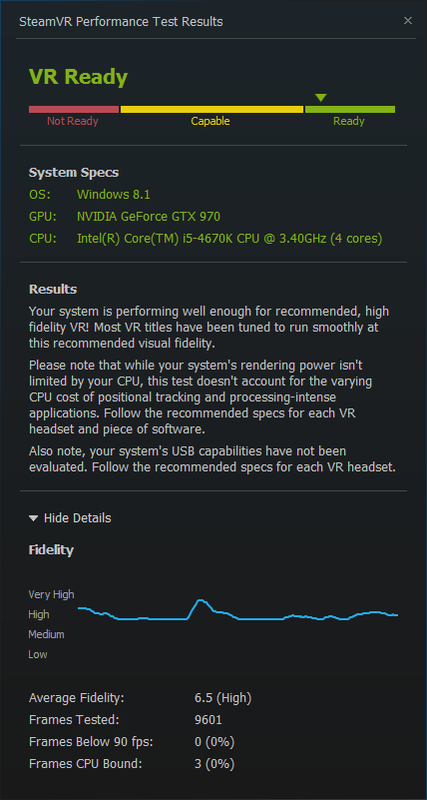 I am not VR-ready. Old box is old.